Please check us out on instagram @ajayplumbing. leave a comment we would love to hear from you. 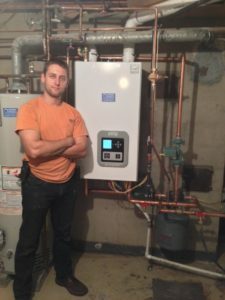 There are many good things to say about high efficiency/ tankless hot water heating boilers. You’ve heard many good things like the savings and the energy efficiency. These things are smart. Some units even come with an outdoor sensor that will adjust their output according to the temperature outside. So if it’s 20 out it will urn at 100%, but if it’s 60’s out it may modulate down to 30%. Smart! Modulation is another great feature. Ability to cycle down or up percentage of burning power. Like adjusting a burner on a range top. Standard counterparts only have 2 speeds and they are 100% or off. Majority of high efficiency boilers are condensing. Which means that they are able to utilize/absorb more heat from combustion than their standard counterparts. Flue/combustion gasses leaving these boilers are much less hot than that of standard counterparts (650°F vs 80°F). Since these gasses transfer/lose/utilize so much heat @ combustion, condensation occurs. Now lets delve into potential weaknesses. First and most obvious, these systems are much more complex than their standard counterparts and have a lot more parts functioning. Statistically speaking the more parts the more chances there are for malfunction of one of these parts. What should also be considered is our water. We have very hard water. It mineralizes everything, especially boiler insides. This buildup sometimes hinders the function of all of these sensors and malfunction may occur. Manufacturers recommend a chemical wash every year. 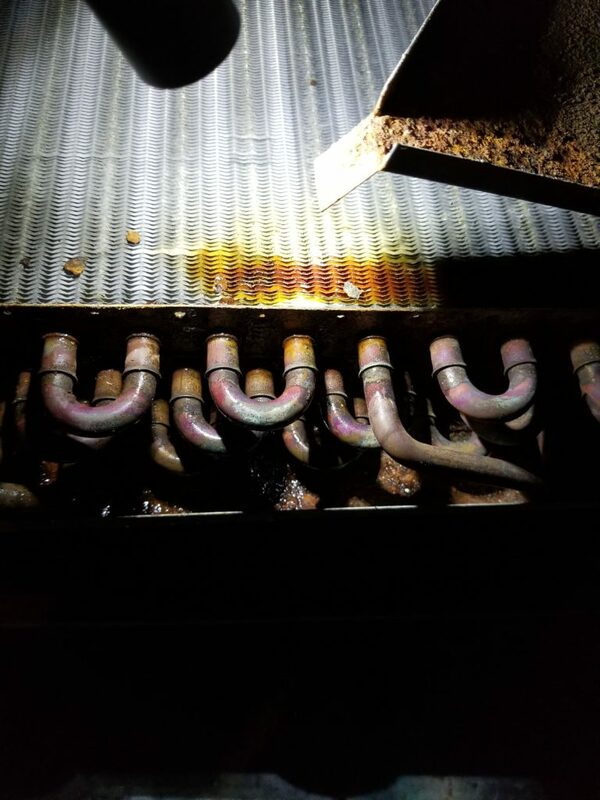 This process removes all mineral buildup and cleans the insides of the boiler, however this is a time consuming task that is also significantly more expensive than a standard boiler maintenance. On a side note a water softener significantly reduces this buildup accumulation. Condensation can be an issue if exhaust is not properly installed. Shall other general malfunction to occur not all techs are able to diagnose the issue. Parts are typically very brand and model specific, which leads parts (un)availability. High efficiency boilers are the pinnacle of HVAC technology. However, for a homeowner it is a costly investment, which also requires annual upkeep. 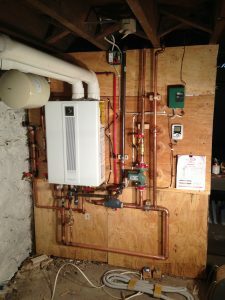 In the last post we talked about the importance of changing of water in a hydronic (water) heating system. 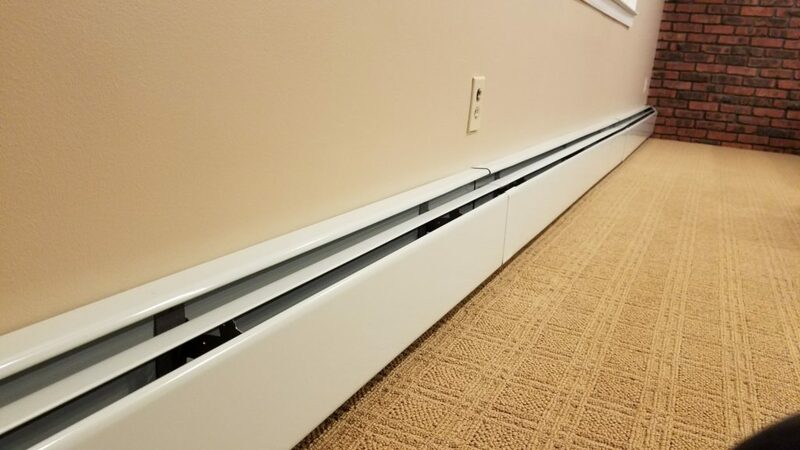 This post I’d like to discuss the importance of maintenance of the heating part of the system. 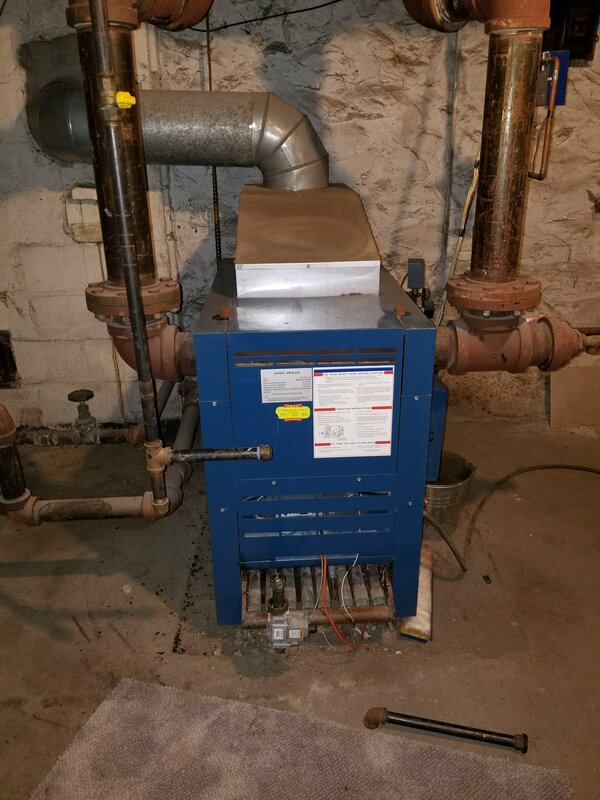 In order for your boiler or furnace to operate for years to come it must operate with clean combustion (low smoke, low carbon monoxide output). 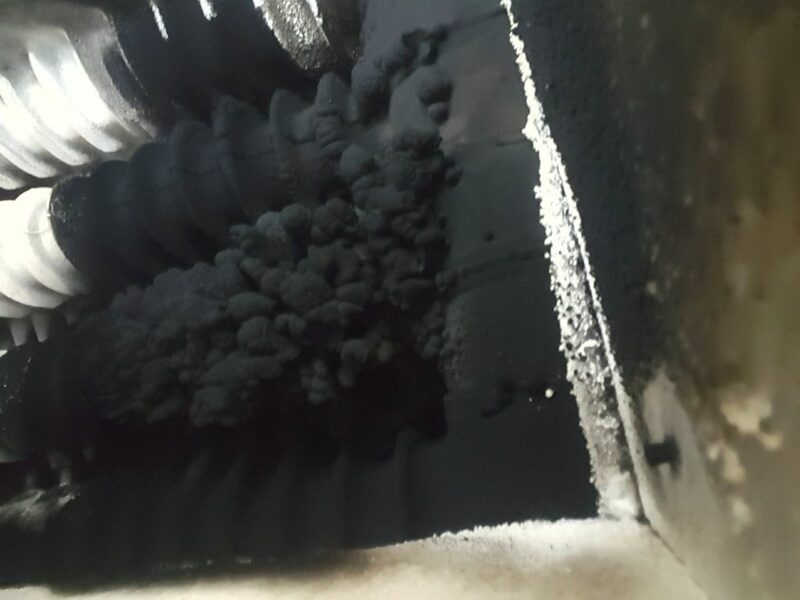 Smoke creates soot, which eventually blocks the heat-exchanger in a boiler. This results in an unsafe and potentially deadly environment and can lead to the condemnation of the heating system. Combustion can be regulated and calibrated for optimal output to make sure this doesn’t happen. Hot air furnaces have heat-exchangers that are long tubes of thin steel. Combustion that heats your air occurs in that heat-exchanger and must be vented outside. 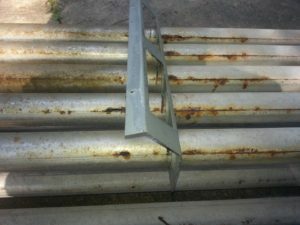 Sometime a heat exchanger will crack and combustion gasses can be mixed with breathing air and can result in unsafe environment. That situation may also warrant condemnation of the heating system. The last thing anyone wants is a mid winter night heating system condemnation with out warning, nor carbon monoxide poisoning. These things should be inspected annually and corrected before it’s too late. Other maintenance should include cleaning flame sensors and checking all other sensors for operation as well as running a full system check for starting and ending system operation. Dust and lint should be wiped off the system to prevent accidental fire and any parts require special attention should be corrected as required. Although many of us take heating and comfort of our home for granted, we must be aware that it can fail and sometimes signs are there if you know how to look for them. Please call to schedule your heating system service soon. 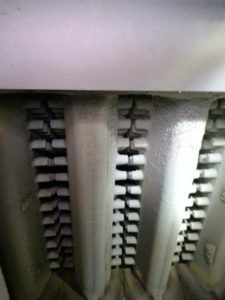 Cracked heat exchanger on a hot air furnace. All boilers use a closed loop system, which means that the water that is used for heating is completely separate from the water you utilize in the rest of your home. Our local wter is very hard and that water is cooked/heated hundreds if not thousands of times throughout each season so you can imagine what that water may look like. When this water is heated it goes through a chemical change, where oxidation, miniralization, mud, crud and everything in between happens. That water should be removed and and whole system should be washed through. That is especially important when a tankless high efficiency system is installed. The new high end tankless systems have tiny tanks that have a bunch of sensors that get overminiralised fairly fast and must be chemically washed/purged to avoid serious problems that may result in system failure. This is just one aspect of annual maintenance. We will cover other aspects of maintenance in following posts. Keep tuned and thanks for reading. The question we get a lot from our customers is, when should we do our heating service? September is upon us and nights are getting cooler, which is normal this time of year. Many of you reading will not consider turning on your heat, however some may. If you are considering turning on your heat then that is the best time to get your heating system maintained. Chances are you haven’t used your heat in a few months and you want to make sure to ensure your heating system has the right start. If you have a water heating system, that water should be changed. It has been cooking and marinating in the boiler for a year. If you have forced hot air system all censors are to be checked and cleaned. 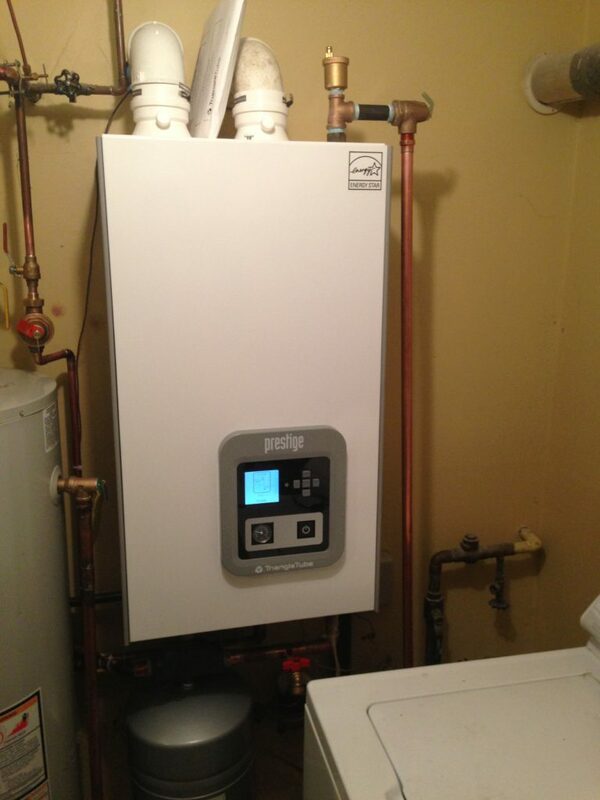 If you have a tankless heating boiler, it must be chemically flushed to make sure smooth operation. What you don’t want is waiting too long into season only to find out there are issues. Some issues are easily preventable and some are irreversible so you want your system checked by a professional on an annual basis. Any issues should be ironed out before high season. Should problems arise you don’t want to be stuck waiting for parts. If you are considering turning on your heat please consider calling us. That’s what we are here for. 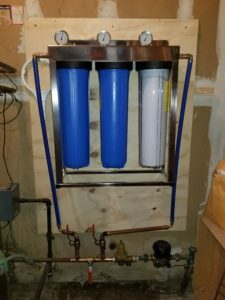 This is a nice alternative to a whole house water softening system for those who wish not to deal with the salt. This does not make your water soft. This filtration system simply filters water of most contaminants and debris. Although we can service and install every brand, not every brand is worth installing. Some brands we try to steer clear of. These brands produce poor quality products and back it up with even worse quality warranties. Our company guarantee our labor for up to one year on everything we do whether its a faucet install, or a new air conditioning system. We have learned our lessons with products that just don’t hold up and we take it to heart when something does not live up to its expected standards. We will always offer advice based on our long learned experience. Our advise is based on product longevity, serviceability and availability of parts. After all customer satisfaction and our reputation is of most importance to us. In the last several posts we have been discussing different consequences of not changing air filters or not having them at all. Some of the more severe consequences are frozen evaporator coils (inside/ air handler), which we have also discussed. When ice expands so rapidly sometimes things move and or shift. That can create small cracks in the coil which eventually leads to bigger cracks. Some systems have high and low pressure switches built into the condencers that would stop its operation if system is running outside of designed refrigerant parameters. Some do not. Those condensers tend to have burnt out compressors. At that point that is a huge expense if wether parts are under warraty or not. So again, please change your filters and make sure to do a diagnostic/ system check up at begining of each cooling season. A skilled technician (ours) can spot issues before they occur and recommend best possible solution. There seems to be a lot question and misunderstanding as to how often to chance air filters in central air system (hot air furnace heat). Hopefully reading this will clarify some questions. First, allow us to explain the basics of mechanics of forced air system. Each system contains a motor (blower), which is designed to spin at a designated rpm, which must generate a certain amount of air movement. Besides the blower there is also an evaporator coil. The coil contains refrigerant that boils of at subfreezing temperatures and requires a certain amount of airflow to keep it warm. A filter is designed to allow air to flow through it while catching dust and dirt that is suspended in air. This is a benefit to breathing air as it is cleaner and protects the evaporator from dirt. 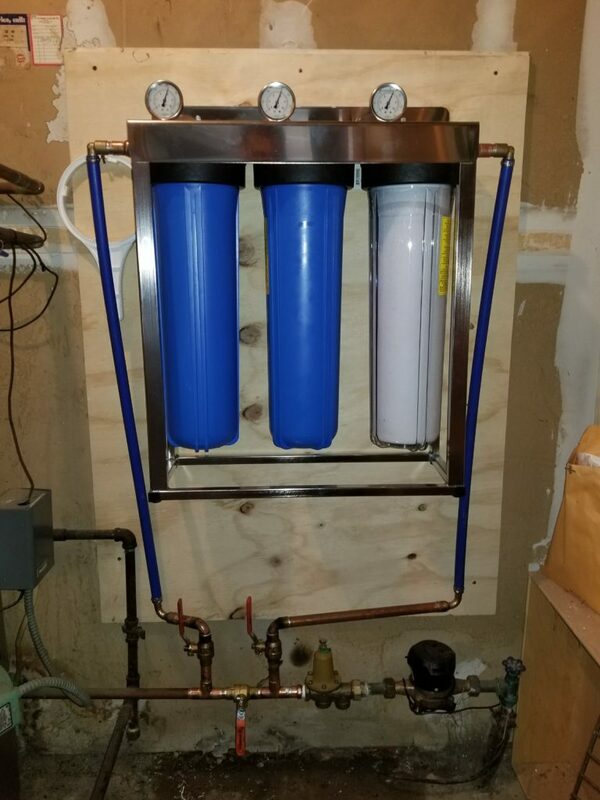 Filters come in different levels of filtration efficiency and the higher the efficiency the less airflow they allow through them from the start. Additionally dirt and dust accumulation create a form a layer around the filter creating an airflow restriction. Sometimes this airflow restriction creates a bottle-necking in airflow and puts significant strain on the motor as well as an insufficient heat for the coil, which may result in motor failure and or coil freezing (picture bellow). This must be avoided at all costs. So as to original question of how often to change the answer is not so simple as there are many variables including efficiency of filter (the more efficient the more frequently it must be changed) and other dust factors. Carpeting contains a lot of dust as well as heavy foot traffic and pets generate more dust. So the more dust in house the more often a filter must be changed. The solution is quite simple, install new filter and check after two weeks. When the system turns on and the filter gets sucked in and concave (a sure sign of air pressure change), or filter shows a layer of dust or discoloration then its time to change. If not wait a week and check again. Keep doing so until you notice any signs of a blocked filter. Some houses can be on one filter for 3 months and some houses only 2-3 weeks. Its is up to the homeowner to determine how often. Please do not rely only on the serviceman to change your filters once a season as it is not enough for any household. 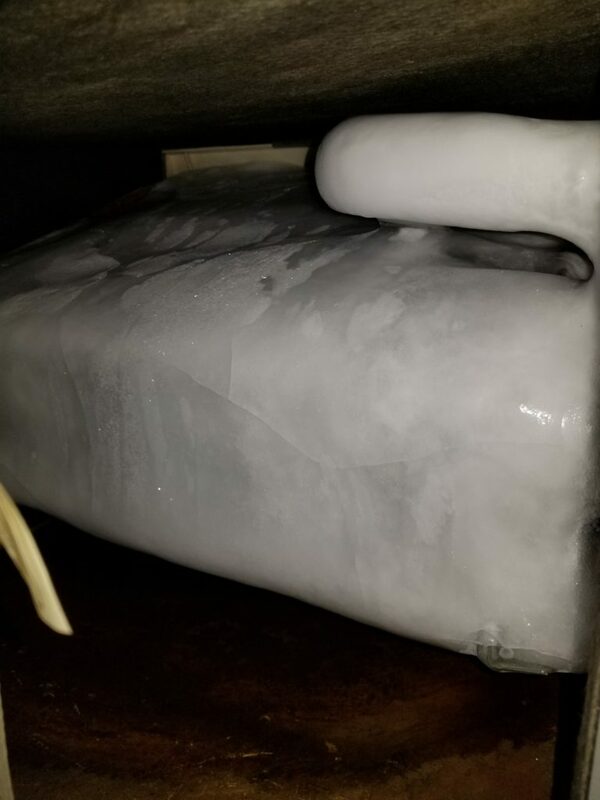 Picture below shows a frozen coil, one of many we encounter throughout the summer season. When should I get my heating system serviced? Question: When should I get my heating system serviced? Answer: The best time of year to get your heating system serviced is in the early fall. This time of year the outside temperature are fairly mild and heating system is at its lightest load. At this time any potential problems would be found by the HVAC technician.